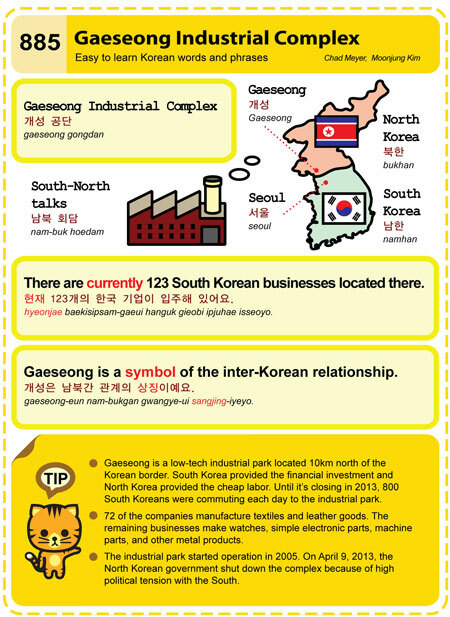 This entry was posted in Series and tagged businesses, DMZ, Gaeseong Industrial Complex, industrial park, inter-Korean, North Korea, Seoul, South Korea, South-North talks, symbol, 개성, 개성 공단, 개성은 남북간 관계의 상징이예요., 남북 회담, 남한, 북한, 서울, 현재 123개의 한국 기업이 입주해 있어요. by easykorean. Bookmark the permalink.